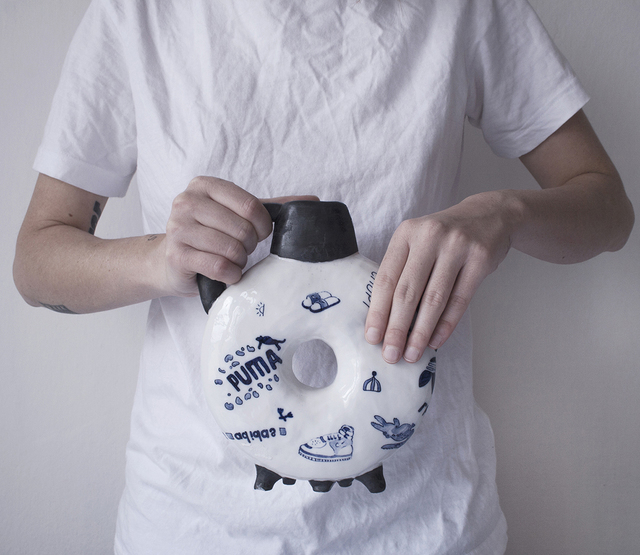 Tannia Klimenko is an artist which works with various media, such as ceramics, porcelain, but also web design and illustration. In her work, she explores the relationship between authenticity and fake, value or bad taste. She was growing up in the post-soviet times, among the lost cultural heritage, therefore she seeks the visual references in the past. Technologically she stays faithful to traditions of genuine craftsmanship, but she ironically combines shapes from the Soviet and Slavic Russia with the modern cultural values.